Do you know the metaphor about locking the barn door after the horse has left? That is the Sony Reader's marketing team. In the past few days I've posted about a leaked product listing for the new Sony Reader PRS-T2, a prediction that it would launch this week, and earlier today I posted an ad for when the device will go on sale next month. Guess what I got from Sony this afternoon? I received an offer to be briefed on the new Sony Reader along with a copy of Sony's nondisclosure agreement. Do you know the document that is keeping all the major blogs from writing about the leaks? That's what I got today - after I posted the leaks. I suppose there's a better late than never aspect to this tale, if not for the fact that I'm not agreeing to the NDA. This is the very first time I've turned one down, but why shouldn't I? At this point there's very little that Sony can tell me which I don't already know. Heck, about the only detail I didn't already have was the launch date, and I got that off the NDA. The NDA expires on Thursday at 9am eastern. You can see for yourself if you like. Do you know what? I started out today irked with Sony because they had been briefing everyone but me. But eventually I realized that they'd done me a huge favor. By excluding me from the briefings Sony enabled me to post stories which none of the major blogs could repost. I really should be grateful for their oversight. Thanks, Sony! 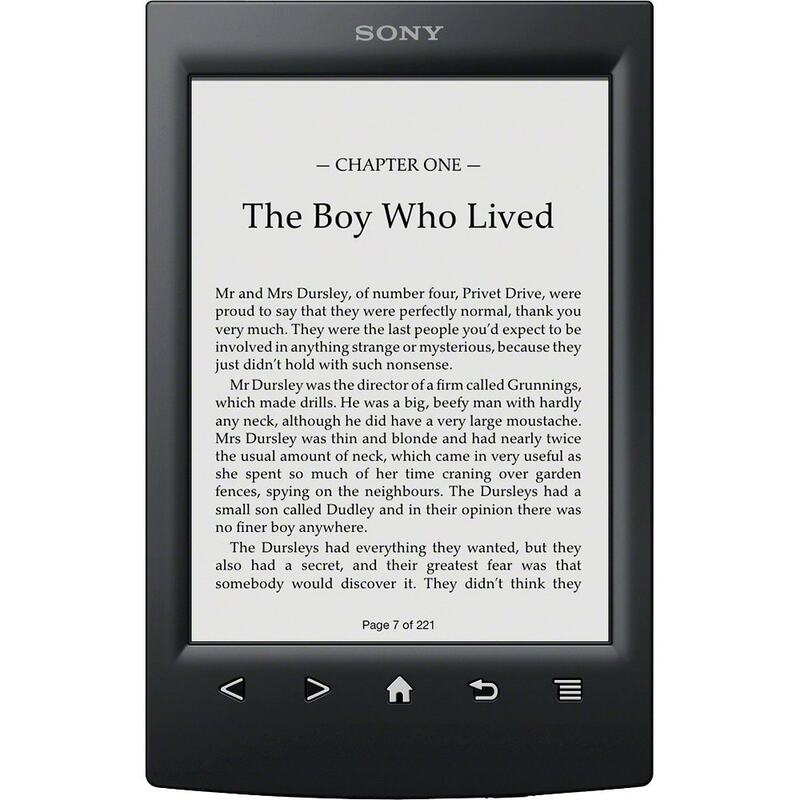 So, is anyone going to run out and get the new Sony Reader? We know it will hit store shelves in the next few weeks, and I plan to get one just to compare it to my T1. The hardware is virtually identical, so the subtle differences should be interesting. I'm also kinda hoping it will be more hackable than the T1. I like the design more than that of the Nook Touch, and if the underlying Android OS can be freed this device has the potential of being an E-ink tablet. But that assumes that the T2 won't have the same restrictions on installing apps as on the T1, which is limited to only 40MB of apps. Thanks Nate; I want an eink tablet too and will watch for your post concerning the T2. I don’t understand those sensor buttons. Why use those instead of ordinary micro-switch? I mean, when you already have touchscreen, why use something so similar to it? Whole point of ordinary page turn button is that you can rest your finger on it, then with minimal effort change page when you need it, and that is something you can’t do with sensors. I think you are right, Sony is sinking down, build quality and features that they offered couple of years back where always a step higher than others, but today with rebranding same product and selling it as something new are just going to repel those who loved their products. And there was place for improvement, LG’s higher resolution screen, backlight as one of those on Nook Glow etc. When you look back, Sony was first to adopt touchscreen, Sony was first to use backlight(PRS-700), hell they where first to mass produce e-reader at all, and now they present new device with zero improvement. I think you mean front light. Zzzzzz. No one cares, Sony. I am afraid zzzzzz is right. Releasing an essentially unchanged product at the time when the larger and more successful (I am talking about the e-reader business, of course) competitors are releasing cheaper products with more advanced functionality is pretty much suicide. Yes, Sony did have an unsuccessful attempt at a front light with PRS-700, but that was 5 years ago. The technology is changing, and nook GL is a great example. Apparently Amazon is rumored to release one of those glow-kindles as well. And here comes Sony with the last year’s model. Don’t know about the new buttons. Perhaps they are not capacitive, but just the same push buttons as before, only in form of those symbols. Adding a couple of 3rd party apps as an “upgrade” is ridiculous. They could have added those to T1 and spare themselves an embarrassment of public humiliation. I have Facebook on my phone, the hell I care about having it on my eInk screen! What was Sony’s team of developers working on for a year? Nothing? That is a declining point of interest.